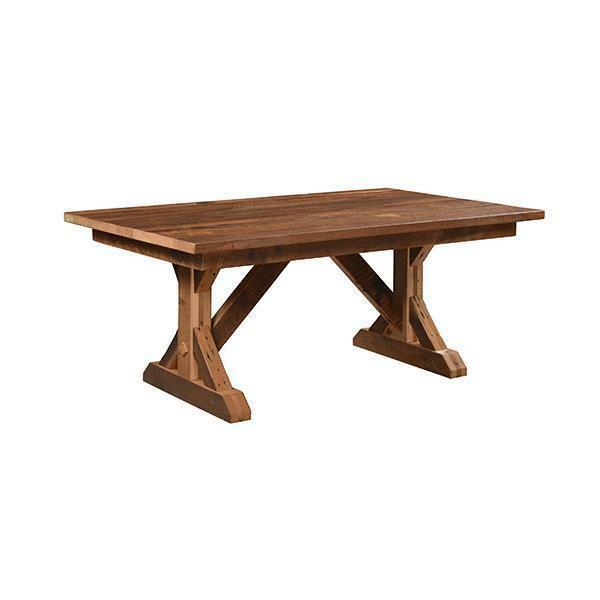 The Stretford Reclaimed Barn Wood Dining Table is the same table as the Stretford Barn Wood Extention Dining Table, but without the optional extensions. Choose the size that best fits your dining room space and your family size for your next family dinner. Also choose your finish color, edge type, and nail hole fill to create a custom look for your new Stretford Reclaimed Barn Wood Dining Table.